Jude makes use of at least two books that were not considered to be inspired by the Church or the Jews. In v. 9 he alludes to the Testament of Moses and in vv. 14-15 he quotes 1 Enoch. Bauckham points out that besides the direct citation of 1 Enoch 1, the writer knows 1 Enoch 1-36 and perhaps sections later in the book. 1 Enoch was popular at Qumran and there may be allusions to the book in Revelation as well. This section of 1 Enoch is an expansion of the story of the Nephlehim and the Giants a found in Genesis 6. Jude does not allude to that plot line at all, but rather to the rather generic statement that God is coming to execute justice on ones who have rebelled against him. In the context of 1 Enoch, this is the angels who have intermixed with humans and created “the Giants” and taught humans all manner of sin. The reference to the archangel and Satan discussing the bones of Moses does not appear in the Testament of Moses, although it is likely that the words Jude uses are quoted from the lost ending to that book. Richard Bauckham has a considerable excursus on the sources for Jude 9 which includes a catalog of all of the variations of this story in Jewish and Christian sources as well as a list of references to the Assumption of Moses, a lost book usually confused with the Testament of Moses (Jude, 2 Peter, 48, 67). Bauckham concludes that the Assumption is a re-worked version of the Testament (76). There are a number of Christian sources that seem to have known the story in detail, and a few pre-Christian Jewish sources contain disputes between the devil and an angel over various events (Isaac’s sacrifice, for example). That Jude would allude to these Jewish texts is a good argument for the circulation of the book within Jewish communities in Judea, perhaps in the “near diaspora” communities. We know that 1 Enoch appears at Qumran. Although the Testament of Moses has not been found among the DSS, it is not unlikely that this is evidence for an early date and Jewish Christian context for the book. It is possible that Jude uses these texts because they are popular with the false teachers. In my post on Jude’s use of the Hebrew Bible I commented that Jude alludes to the wilderness tradition frequently, perhaps his opponents used the wilderness tradition and a book like 1 Enoch in their own teaching. The allusion to the Testament of Moses may be appropriate since the event took place in the wilderness and the end of that period of Israel’s history. The Qumran Community immediately comes to mind, since they are in the wilderness, not far from Nebo and made use of 1 Enoch. But Jude seems to imply the opponents are a perversion of Christian teaching, so perhaps they are a Essene like group which has accepted Jesus as Messiah. In any case, Jude is turning their own favorite books around on them to show that they are heretics. Jude’s purpose is to combat a false teaching which has “smuggled” itself into the church. What are the implications of Jude’s use of these sources? Jude alludes to a number of stories from the Hebrew Bible. Jude rarely quotes the Hebrew Bible, but he alludes to key events which ought to be familiar to his readers. For example, in v. 5 alludes to the Exodus, v. 6, the Giants in Gen 6, and in v. 7 to Sodom and Gomorrah. He mentions the names of characters to invoke their stories as well. In v. 11 he lists Cain, Balaam and Korah as examples of rebellion against God. In each of these cases, Jude wants the reader to hear not just the event or name, but to recall the whole story. To what extent does Jude expect the listener to hear the names and events as shorthand for the whole story? The story of the Exodus is common, but Baalam might not be as well known, and Korah is far more obscure. He is expecting a great deal out of his congregation by alluding to these stories. It is significant that the majority of these examples come from the Wilderness traditions of the Hebrew Bible. The wilderness period was sometimes used in the prophets as an prime example of the rebellious nature of Israel. From the earliest history, Israel struggled to remain faithful to God. Jude makes use of this tradition much like the prophets did, drawing analogies from the first generation to describe his opponents. While some of these traditions are obscure to us, they were likely well known by Jewish congregations. Paul alludes to the wilderness in 1 Cor 10, Jesus also creates an analogy between his own ministry at the generation in the wilderness (John 6 especially). The fact is that these stories turn up in a number of Jewish sources as examples of rebellion against God. Much of this literature either pre-dates Jude or is contemporary to the letter. “Probably this Jewish schema had been taken up in the paraenesis of the primitive church and used in the initial instruction of converts: hence Jude can refer to it as already well-known to his readers” (Bauckham, Jude, 2 Peter, 46-47). Perhaps a better way to describe Jude’s technique is to compare the letter with the Habakkuk commentary from Qumran. This style, known as pesher, placed interpretations from the Community’s teacher in between lines of scripture. This sort of running commentary was intended to interpret the text of Habakkuk as applying to the Community’s current situation. 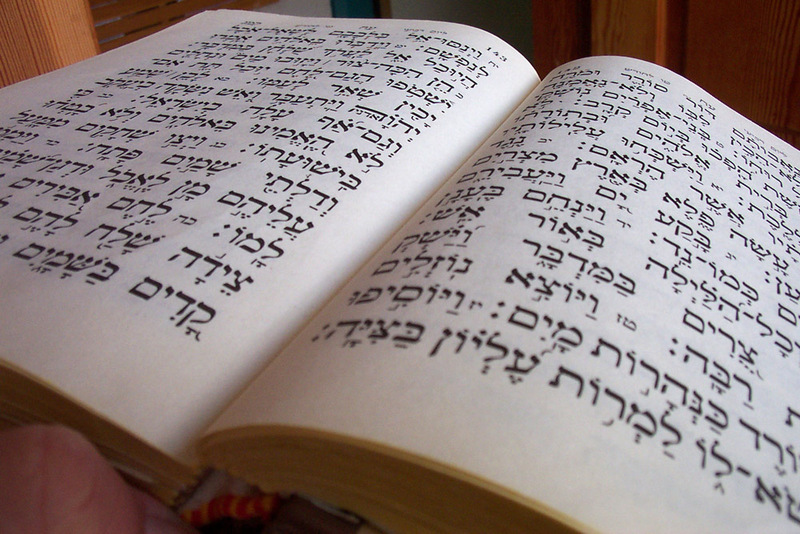 If Jude can be rightly described as a kind of either midrash or pesher, then this can be used as additional evidence of an early, Jewish Christianity as the background to the letter. This observation will be beneficial in understanding the theology of this letter – keeping these images in mind, what is Jude saying about his opponents? Cranfield’s 1975 commentary on Romans in the International Critical Commentary series is one of the best exegetical commentaries available at the time. N. T. Wright praised the ICC volume as “the finest work on Romans to appear this century” and F. F. Bruce thought it was “well worthy to take its place alongside the really great commentaries on Romans.” But the two-volume commentary was expensive and the dense exegesis of the Greek text made it difficult for many to use. Eerdmans originally published this abridged single volume in 1985. In the preface of the commentary Cranfield described the commentary as shorter, less detailed and Greekless. In addition, the shorter commentary does not have any footnotes to secondary literature (other commentaries and articles) and very few references to historic interpreters of the book of Romans. In the body of the commentary Cranfield breaks each verse into phrases, identical to the ICC volume except the phrases are in English. The Shorter Commentary often follows the ICC verbatim with respect to comments on the text. Cranfield uses his own translation of Romans, which is identical to the fifth impression of the first volume and third impression of the second volume of the original ICC commentary. The original commentary was known for offering a variety of solutions to several of the more troubling exegetical problems in Romans. For example, in Romans 5:12, Cranfield offers six alternatives for understanding the phrase ἐφʼ ᾧ πάντες ἥμαρτον, “in whom all sinned.” His ICC commentary has more than five pages of discussion including references to ancient commentaries and one quotation in German. The shorter commentary covers the same six possibilities with only one reference to Augustine in passing and no citations of any secondary sources. It is fair to question the relevance of a commentary on Romans published in 1985, based on a commentary published in 1975. The commentary reflects the state of Pauline studies before E. P. Sanders and the ongoing debate over the so-called New Perspective on Paul. In fact, there is nothing new about Cranfield’s perspective on Paul. Both his ICC volume and this shorter commentary are excellent examples of the best exegesis behind the traditional view of Paul. But as with other volumes in the Eerdmans Classic Biblical Commentaries series, this Shorter Commentary on Romans is worthy of staying in print. Cranfield’s commentary is an example of a master exegete who seeks to shed light on the text of Romans so those who are preaching and teaching the book can better communicate God’s word. For a busy pastor, Cranfield’s ICC volume might be difficult to use and priced out of their range, but this single volume commentary distills the larger commentary and will be of value to anyone working in Romans. It is good Eerdmans recognizes the value of older commentaries. As the series preface observes, these commentaries have been used by pastors, teachers, seminary students, and are cited literary thousands of times by later works. The opponents in Jude misuse the grace of God as a license to sin. These seems to be the key problem Jude needs to address. The teachers seem to have been antinomian, a perversion of the gospel which argues that those who are saved are somehow “beyond” the law, so that they can behave however they want without consequence. 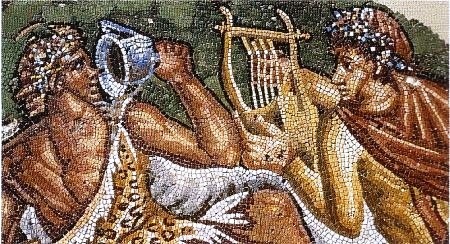 Antinomianism was a serous problem at the end of the first century and lead to a bad reputation among the Romans, who heard rumors that all Christians engaged in strange sexual rites as a part of their worship. Some of Jude’s biblical illustrations for these opponents are sexually oriented as well. The fallen angels (Gen 6:1-4, 1 Enoch). The sexual nature of the sins of the angels in Gen 6 is more clear in the 1 Enoch version, perhaps explaining Jude’s use of the more legendary form of the story. 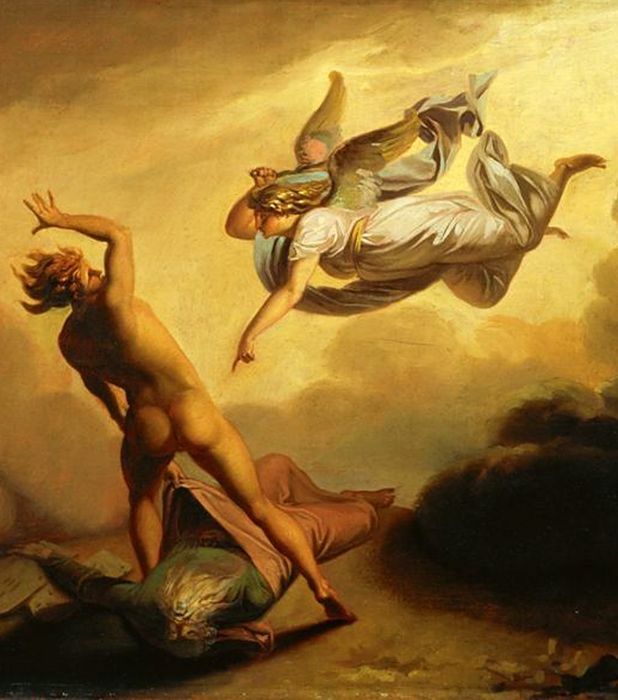 Sodom and Gomorrah (Gen 14) were legendary for their sexual sins, it is possible that Jude has general sexual excess in mind rather than homosexuality. Taken along with Jude’s reference to the opponents being “blemishes” on the church’s love feasts, it is likely that these teachers were using church meals as an opportunity for sexual debauchery. While this sounds completely alien to the later church, in a Greco-Roman context this makes more sense. 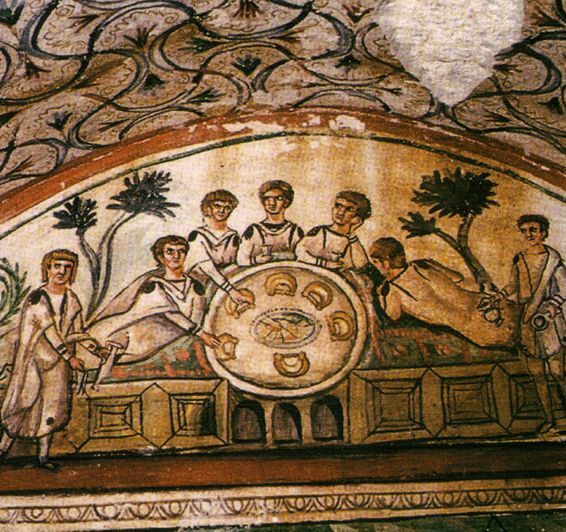 Greco-Roman banquets were known for not only over indulgence in good food and wine. A good meal was often followed by sexual encounters with prostitutes. Paul dealt with this very problem in Corinth where was a problem with gluttony, drunkenness and going to prostitutes at private banquets (1:Cor 6:12-20). The issue here is attendance at banquets given by the rich elite of the city. There is plenty of evidence concerning the types of things that went on in a Roman banquet of the first century from contemporary writers. If this is the background for the opponents in Jude, then once again we have evidence for an earlier date to the book, and perhaps another indication that the problems were caused by people, perhaps Jews, failing to challenge their pagan world with their new faith. I suspect that this is one of the more applicable elements of the book of Jude. These “Christians” are using their religion to promote behaviors which would even shock the Romans. While I have always thought of Jude as rather late (post 70 at least, if not in the 90’s), there are good reasons to date the book earlier. In his WBC volume on Jude and 2 Peter, Richard Bauckham argues that the letter is very early, perhaps as early as A.D. 50. This reading is based on the use of Jewish apocalyptic style found in the letter. He finds three elements of the book which lean toward the earlier date: There is a lively hope for the return of Jesus (14-15). Secondly, the style of the letter is a Jewish midrash which draws together texts from the Hebrew Bible to argue that the false teachers will face judgment at the Coming of the Messiah. Finally, there is no hint of church offices in the letter – elders, deacons or bishops, nor is there any appeal to human authority. The institution of the church is limited when the letter was written. Who Wrote The Letter of Jude? Douglas Rowston described Jude as “the most neglected book in the New Testament.” Perhaps because the letter is so short, or possibly because of the book’s close relationship to 2 Peter, the book is rarely preached on, and few people turn to the book in devotional reading. It is, however, an important witness to the way the early church responded to false teaching. While the book is brief, it is a very “dense” book, in that nearly every line is packed with allusions to the Old Testament or laced with colorful metaphors to described the false teachers. Why do many scholars deal with 2 Peter along with Jude? One factor is the is the similarity between the two letters – virtually the entire book of Jude appears in 2 Peter, with the exception of the two allusions to non-biblical books. For this reason scholars wonder if Jude used 2 Peter, or vice versa, or if both letters used a third source, perhaps a standard statement against false teachers who abuse their freedom in Christ. Another major problem with the book is authorship. The author of Jude identifies himself simply as Jude, brother of James and servant of Jesus Christ. There are eight New Testament persons with the name Jude (Greek, Judas, or Hebrew, Judah), but the most likely is Jude the brother of Jesus. This has been the assumption of most Bible readers until relatively modern times. 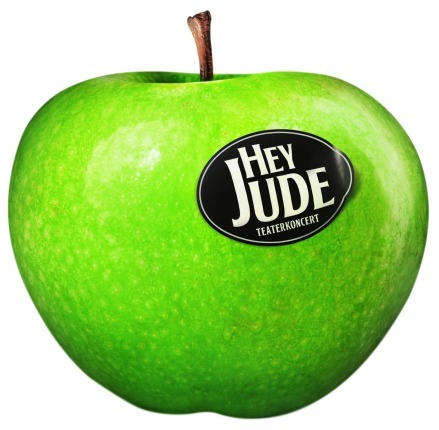 Since the rise of historical criticism, Jude is usually identified as a pseudonym or simply as another Jude other than the brother of Jesus. Jude is the shortened form of Judas, a very common in the first century. Jesus had a brother named Judas as well as two disciples, and there are several others mentioned in the New Testament. Why was the name so popular? Judas Maccabees was one of the great heros of the Jewish people. He was the “Hammer” who led the rebellion against Antiochus IV Epiphanes. Judah was also the name of the founder of the tribe of Judah, the tribe to which King David belonged. It was therefore a very patriotic name which brought to mind two very important times in Israel’s history: the founding of the Kingdom of David and the restoration of the kingdom under the Hasmoneans after the Maccabean revolt. Jesus ‘s own name evokes another great moment in Israel’s history, YeShua, the Lord Saves, is translated as Joshua in most English Bibles. Like Judas Maccabees, Joshua drove the Canaanites from the Land when Israel first arrived in the land promised to Abraham. Jesus’ other brother James would be better Jacob, the father of the twelve tribes of Israel. That there were so many men named Judas might tell us something about Jewish expectations for a rebellion against Rome. Yet the evidence is thin that the Jude who wrote this short letter was the brother of Jesus. Karen Jobes points out that we know from 1 Cor 15:7 that Jesus appear to his brother James after the resurrection, so “possibly he appeared to others in this family as well” (Letters to the Church, 237). That is certainly possible, but not necessary from 1 Cor 15. There is a strong tradition that Jude was not only a follower of Jesus after the resurrection, but that he became a leader in the Jerusalem church after the death of his brother James. Eusebius says that the grandsons of Jude were alive during the reign of Domitian and were brought to Rome under suspicion of fomenting rebellion. The emperor questioned them but realized they were not rebels at all, but rather simple farmers (H.E. 3.20). If Jude was the brother of Jesus, why does he not say so in his letter? Why use the title “servant of Jesus?” The fact that Jude and the other brothers of Jesus were unbelievers until after the resurrection, the title “servant of Jesus” can be seen as a humble acknowledgment of Jesus’ Lordship. Bibliography: Douglas J. Rowston, “The Most Neglected Book in the New Testament, NTS 21 (1975): 554-563. One of the frustrations reading the letters of John is the the writer’s rather stark, black-and-white view of the world. He begins in 1 John 1:5 by stating that “God is light, and in him there is no darkness.” There is a “polarity between God and ‘the world’” (Jobes, Letters to the Church, 415). There rest of the letter is filled with similar contrasts – one either walks in the light or walks in the darkness. One either does not sin, or one continues in sin. The first chapter of the book can be read as saying there are two types of people in the world, those who have been enlightened (the Christians) and those who remain in the darkness (the non-Christian). That is true, of course, but for Christians who have read their Paul, it is hard to imagine “the one who does not sin.” Romans 6-7, for example, describes the struggle of the believer who was a slave to sin and is now a slave to righteousness. Even our own experience seems to make the sharp black/white dualism of John difficult to understand. In the history of interpretation of the Letters, there are two possible sources for this dualism. In the nineteenth century the Letters were dated much later that the first century, so the light / darkness language was thought to be an allusion to Gnostic dualism. Gnosticism developed in the second century by blending Jewish and Christian theology with a Platonic Dualism. This meant that the world was sinful and evil, only the spirit was good. The goal of life was to separate from the life of this world and purify one’s spirit, perhaps leaving the sinful flesh to return someday to the spiritual realm. But as Andreas Köstenberger points out, the dualism in John is not at all like what is found in the Dead Sea Scrolls. 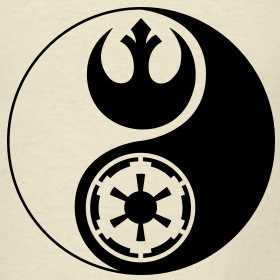 In fact, he thinks that it is not really “dualism” in the classic sense since there is both a vertical and horizontal aspect to the dualism. (The Theology Oof John’s Gospel and Letters, 277). The Gnostics minimized the human relationships since all human flesh is sinful. The Qumran Community minimized the horizontal as well, declaring war on the Sons of Darkness. For the one who is a disciple of Jesus, the relationship with God has been restored, implying that relationships with other humans ought to also be restored. The word was not evil when it was created, nor did our relationship with God cause terror and hiding. For John, the one who is a follower of Jesus has been restored to a pre-fall state in which we can “walk in the light” and quite literally “not sin.” As the writer says in 2:15-17, this world is passing away, we belong to another world which will endure forever.